Who is Apocalypse, and what exactly is his beef with mutants? Looking back historically in Marvel Comics, we find En Sabah Nur aka Apocalypse is considered the first mutant ever in the X-men story lines. He's also an immortal and made his first appearance in X-Factor #5 in 1986. The character has appeared in a variety of formats including video games, television cartoons and now in the brand new FOX X-men franchise successor. Let me start this review by getting something off my chest. I have no clue what the critic reviews over at Rotten Tomatoes are gathering when writing about these comic book movies? 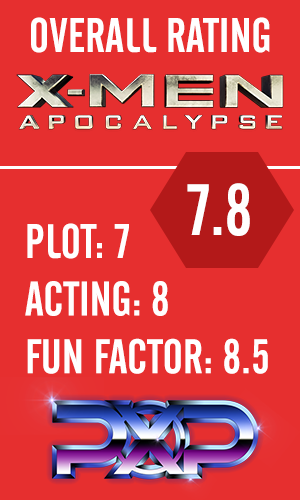 The ratings began in the low sixty percentile in Europe, and as the film opened in North America, X-Men : Apocalypse began to gradually decline to it's current 47% rating. I honestly think these film critics have never read a single comic book in their entire lives and have no clue what the heck it is they're watching on the silver screen. 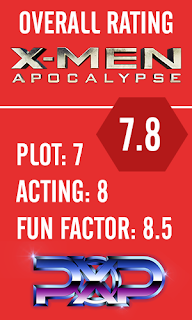 Now, if this movie could be rated by seasoned comic veterans who understand the story arcs and history of X-men, perhaps maybe, just maybe we could get a film properly reviewed. I personally do not agree with Rotten Tomatoes ratings, their methods of film review and how easily they could influence someone from not seeing a really entertaining and easy to follow film like X-Men : Apocalypse. My verdict as a well versed comic enthusiast, go see these types of movies for yourselves, and make your own decisions before resorting to a web site with mundane "bought off" critics who write what they're paid and told to write. The film delivers an array of emotions including drama, heartache, laughter and epic battle scenes. Apocalypse has a very clear motive, although the geniuses over at IGN couldn't figure what his main intent of the whole film was. Without spoiling too much of the film, I will say this: if you listen closely to the conversations between Apocalypse and Xavier, you'll find out what he really wants to do on Earth. He's Apocalypse, the bringer of death, the reincarnating mutant and the false prophet all wrapped up into one. On a side note, I do feel his role could have been more expanded to show his true cosmic powers abilities, but his role, played by Oscar Isaac, was slightly dwindled to more of a catalyst role rather than an antagonistic villain. There was more time spent rounding up the four horseman, which could have been key moments to show his true cosmic dominance and tyranny. I also feel that we could have easily had more Angel and Psylocke on screen, with previous adaptations essentially wasted. Though their roles are somewhat mediocre here, they are still entertaining to watch. But true fans of Psylocke in the X-men franchise all know how much of a icon she truly is; same can be easily be said for Angel. Wolverine's cameo was one of his best yet. Fans will be delighted to see Hugh dawning the adamantium claws again and going slash-crazy. What's really fun about this particular scene is how much of a backstory we get from the previous Wolverine solo films. Great tie in! One of my favorite aspects about this film was definitely the throwback to the 80's Easter Eggs. I won't give them away, but a fun challenge would be to see if you can spot as many 80's references as you can. There's so many, and probably because of the throwback to the 80's aspect of this film, it's yet again another reason why I enjoyed it immensely. 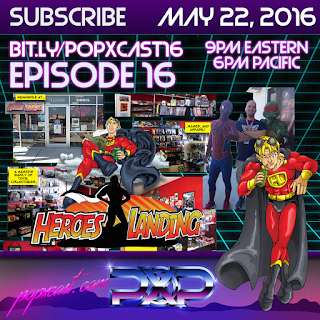 There's also a truckload of comic references, pop culture jabs and the like, be sure to have an open ear to see if you can catch any of them. 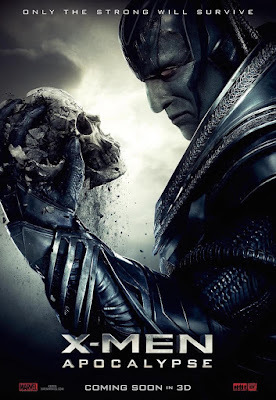 My final thoughts is definitely go see this film if you're a fan of the previous X-men films, you won't regret the movie ticket, and do yourself a favor, don't rely on the reviews you see online about this or any other comic film. Chances are, the critic writing those words of spewing hate have never had the pleasure of holding and reading a comic book a day in their life; so obviously they have no clue what they're talking about. Stick around the end of credits to see an end scene linking a new villain and new story arcs for the next film in the franchise. If you're confused by the end scene credits, listen to this week's upcoming podcast, Episode 17 to get all the details and explanations. 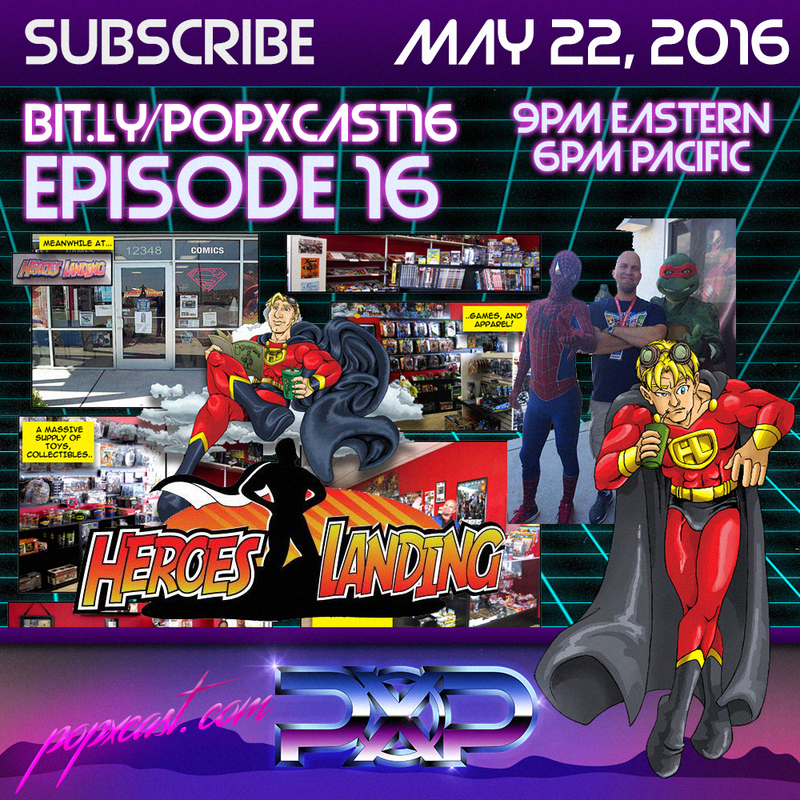 We talk with Todd Merrick, 8 year comic book shop owner about some of his personal favorite aspects of his day to day. We also dive into some of his projections on trends, fads and what's hot, what's fading in the industry today. We even geek out over some Star Wars nostalgia. Be sure to check out their fund raising account and please consider making a donation to help the store grow and thrive. CLICK HERE donate! 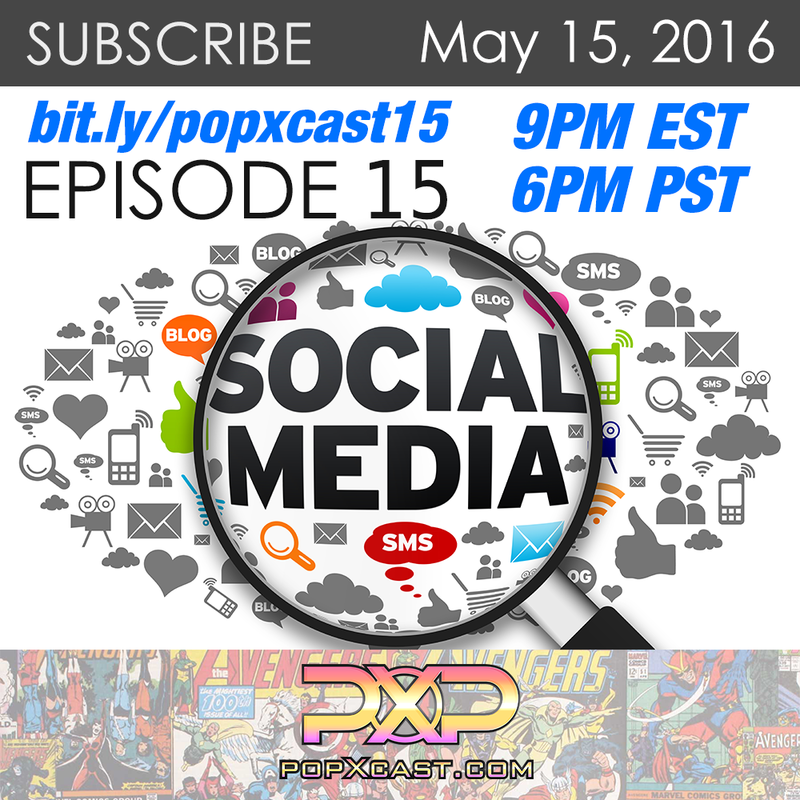 We talk about the beginnings of networking and Internet platforms, and their advancements into modern day social media applications like Facebook, Instagram, Twitter and Wordpress. 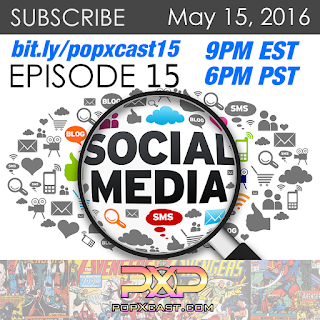 We also go into the future of live video platforms like Blab.im, Wheel, SnapChat and Periscope. From the glory days of IRC, through creating our own web sites on GeoCities or Angelfire, this was the infancy of social media as we know it today. We hope you enjoy this somewhat nostalgic what back through the past 30 years of networking and Internet fads. 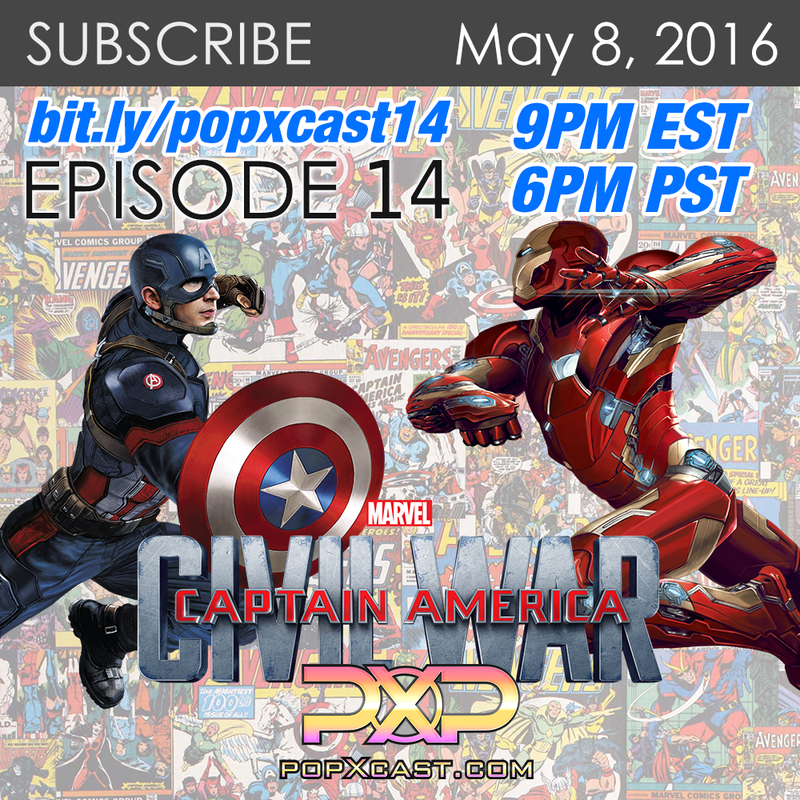 Tonight we talk about Captain America : Civil War, Marvel and Disney's brand new blockbuster introducing over 12 characters to the Cinematic Universe. We give our spoilers and favorite Easter Eggs from the film, and talk about some awesome comic book references from the film. 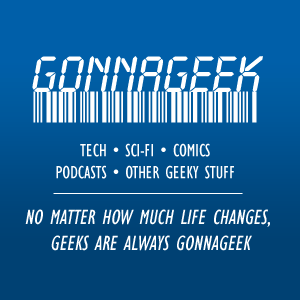 We also introduce a new segment to the show and debut our good friend Lindsay who drops the weekly "Nerd Nugget" for us. From the beginning of the film, we're thrown immediately into superhero action. 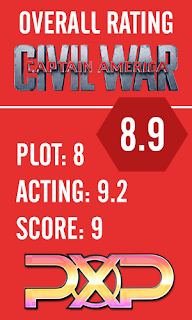 The Russo Brothers, Joe and Anthony, have compiled a plethora of action, back story and cinematography that culminates in a carefully woven film of epic proportions. The original Civil War Saga from Marvel Comics from July 2006 - January 2007, gave us insight into the internal struggles of Earth's mightiest heroes. The film was adapted from the saga, and though some characters like X-men or Fantastic Four aren't part of the Marvel Cinematic Universe, the story line remains somewhat consistent. Right from it's premiere and debut overseas, the film has maintained an above 90%, now 92%, on Rotten Tomatoes. And trust me, it's not just hype, it's just that good. Prior to seeing the film, I tried diligently to refrain from seeing previews or teasers; other than the actual film trailers. I couldn't help notice so many teasers and television spots being released just weeks before the opening weekend. Honestly, I felt these revealed too much of the film's special moments, and should have been kept for cinematic wonderment. I understand marketing and promoting, but I feel like I saw most of the movie already prior to even going into the theater tonight. 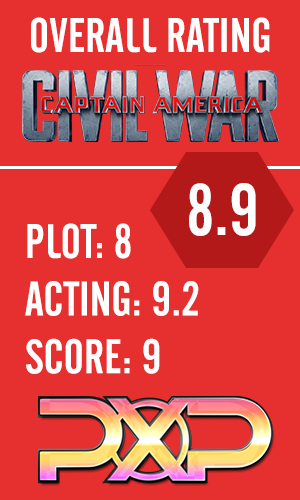 Civil War kept a steady pace of action and plot. There were moments that felt a little drawn out in the "build up" prior to the big finale battle scene. But, I understand the logic behind building such an extended story line when you have 12 superheroes on the screen at one time; not to mention a few villains who require their own back story as well. I felt given the monumental challenge of having so many actors/heroes on the screen at one time, it was executed perfectly. Was is perfect? Pretty close, honestly. 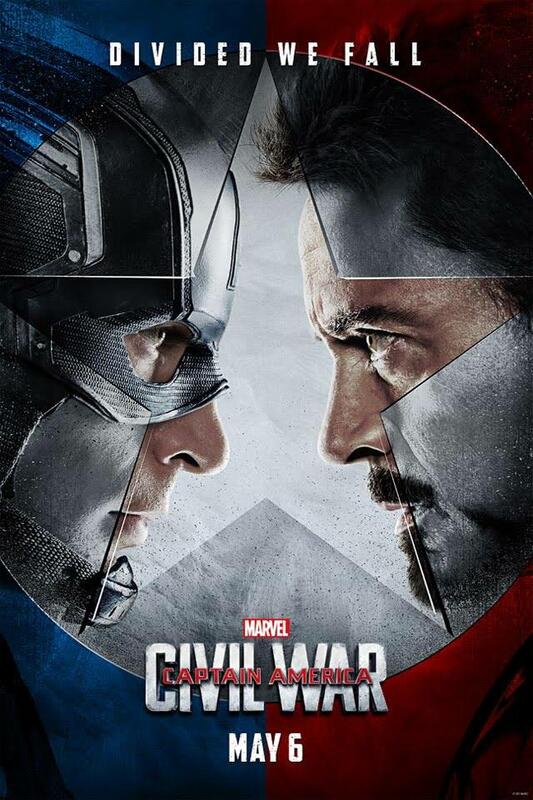 Was it the best team up ever in cinematic history of the Marvel Cinematic Universe? I feel it excelled beyond what "Age of Ultron" set out to accomplish. The introduction of Spider-Man, played by Tom Holland felt genuine and natural. With the licensing agreement now between Sony Pictures and Marvel Studios, we are finally allowed to see our favorite "Web Slinger" in all is glory in the MCU. Tom's portrayal of Spidey felt as it should, quirky, mouthy and overall a nerdy kid who is struggling with his new-found powers. One could only hope for such a licensing deal between FOX allowing the use of Fantastic Four and X-men, a long shot for the mutants, but more of a reality with last year's epic fail of Fantastic Four. Marvel could easily peruse this franchise to give it the justice it deserves, we're keeping our fingers crossed. The film's score felt fluid and perfectly paired with the action and drama on screen. Composer Henry Jackman did a great job of capturing the Captain America feel, coupled with heroic battle melodies and dramatizing the significant moments. Jackman is no stranger to epic film scores, including Big Hero 6, Captain Phillips, Winter Soldier and even X-men First Class. among many others. Grammy nominated Blue Man Group will be joining the Joseph Burke and the POPX crew live this Sunday night, 9PM EDT, 6PM PDT, 2AM UK. 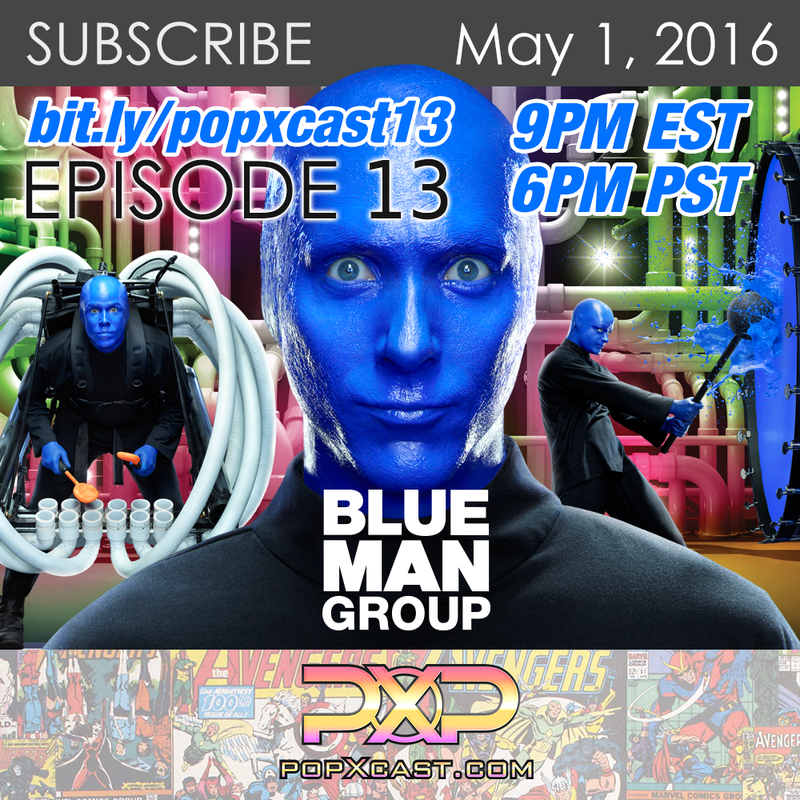 Joining us will be Blue Man Group co-founder Chris Wink, and we'll be discussing the new album release of "Three," as well as the upcoming "World Tour," and celebrating 25 years of off-broadway bliss and creativity. SUBSCRIBE NOW. Nearly 25 years ago, three friends fresh out of college made a life-defining decision together. Matt Goldman, Phil Stanton, and Chris Wink determined they would achieve lives of meaning and purpose, forging their own road, following their own path. When their creative impulses led them to develop a bald and blue character they called Blue Man (to evoke the word Human), more than a few people raised eyebrows. Undeterred, the partners invested their time and resources into following this curious character into a small theatre in New York City. What transpired was a groundbreaking performance that left audiences moved and inspired. Unprecedented theatrical success complete with accolades, awards and genre-jumping opportunities followed. Blue Man Productions is a now global entertainment company best known for the award-winning Blue Man Group show, performed in 15 countries and seen by more than 35 million people worldwide since 1991. A dynamic combination of music, comedy and technology, the show appeals to a broad range of age groups and cultural backgrounds. It is continually refreshed with new music, new stories, new instruments and new technology. Blue Man Group has permanent theatrical productions in Las Vegas, Orlando, Boston, Chicago, New York and Berlin, and a North/South American Tour. This creative collective is part of the pop culture zeitgeist. Beyond the stage show, they have toured the globe with the “Megastar World Tour” rock concert parody, produced 5 albums, and contributed to numerous film scores. They've served as the face of branding campaigns for Intel and TIM/Brasil and appeared countless times on shows like “The Tonight Show”, "Arrested Development", “Ellen”, Schaag-den-Raab (Germany), WOWOW (Japan), and Calderão (Brasil). Still artist-owned and operated and based in NYC, Blue Man Productions has extensive production facilities, recording studios and a 6,000 square foot R&D Lab with numerous new creative projects in the pipeline.